Moch Faisal Karim is a PhD Candidate in Politics and International Studies (PaIS) at University of Warwick. His research interests include the role of emerging powers in global governance with a special focus on human rights, trade, and climate change governance as well as International Relations in the Asia Pacific. Prior to this, he worked as an expert staffer for Indonesia's House of Representatives' Foreign Affairs and Defense Committee and a lecturer in International Relations at Bina Nusantara University, Jakarta. From 2012-2013, he was one of ASEAN-Canada Research Partnership's Junior Fellows within the Center for Non-Traditional Security Studies, Rajaratnam School of International Studies (NTS-RSIS), at Nanyang Technological University (NTU) Singapore. Faisal completed his master's degree at the University of Nottingham and his bachelor's degree in International Relations at University of Indonesia. Faisal is currently an LPDP scholarship recipient at University of Warwick. 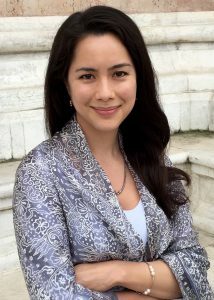 Alysson Akiko Oakley is a doctoral candidate at the Johns Hopkins University School of Advanced International Studies (SAIS), where she focuses on comparative politics and the political economy of Southeast Asia. Her doctoral research includes clientelism as well as informal networks and institutions in Indonesia. She has been an adjunct professor in the Department of Government at Georgetown University since 2011, and since 2009 has authored reports on political and civil rights for five Southeast Asia countries for the annual publication Freedom in the World. Previously, she served as a senior adviser at the International Republican Institute and program director at the U.S.-Indonesia Society. She received a master’s degree in international relations from SAIS (2009) and a bachelor’s degree in international relations from Brown University (2003). 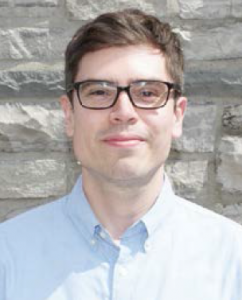 Sebastian Dettman is a PhD student in the Department of Government at Cornell University. His research interests include citizenship, political participation, and citizen-state relationships in decentralized democracies. His dissertation project examines the role of citizen participation in public goods and infrastructure provision in contexts of socioeconomic inequality. He will spend a year conducting a multi-method research project on this topic in six cities across Indonesia. During the research he will be affiliated with the Centre for Strategic and International Studies (CSIS) in Jakarta as a visiting fellow. Sebastian has also worked as a researcher and consultant in Indonesia focusing on local politics and participation. Sebastian completed his Master’s degree in Southeast Asian Studies at the University of Michigan and his BA in International/Intercultural Studies at Pitzer College. 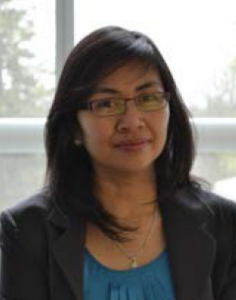 Herliana is a PhD candidate in the University of Washington, School of Law with a Fulbright-DIKTI scholarship. Her dissertation research focuses on the development of foreign investment law and investment treaty arbitration in Indonesia. Herliana earned a Master’s degree in Commercial Law from University of Melbourne, School of Law under Australian Development Scholarship and a Bachelor’s degree in Law from Gadjah Mada University, with a Sumitomo Bank scholarship. She is currently a tenured lecturer at Gadjah Mada University, Faculty of Law. Her teaching and research interests include: civil law, civil procedure, alternative dispute resolution, and arbitration. She has done extensive research in arbitration and alternative dispute resolution in Indonesia, Korea and Japan under various fellowship programs. Herliana is currently an intern in the World Justice Project, Seattle office. Feitty Pandjaitan obtained her LLM degree from Georgetown University Law Center in May 2014, specializing in international trade law, economic and business, with a USAID scholarship PRESTASI (Program to Extend Scholarships and Training to Achieve Sustainable Impacts). Feitty is interested in international trade, business, investment, and corporate governance issues, and has conducted various work and research in these subjects. 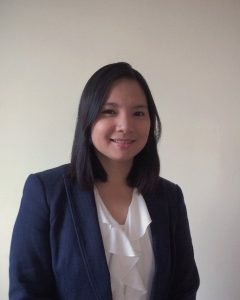 Her research project is about the U.S. - Indonesia trade dispute settlement from international trade law perspectives underscoring the legal cause and the settlement of this trade dispute. Prior to her LLM study, she studied law in Universitas Indonesia majoring in Law on Transnational Relations. Following her graduation, she worked as a corporate lawyer in a prominent Indonesian firm, in house counsel in a top-10 Indonesia group company, a researcher in a center for international law studies and as an assistant lecturer for international trade law. She is currently a fellow at the Institute of International Economic Law and member of Washington DC Young Trade Professional. Ian Parker is a PhD Candidate in Anthropology at the University of California, San Diego. He is interested in interactions between people and the environment, ethics and social development in Indonesia and the Asia-Pacific region. His dissertation investigates social aspects of natural resource management and eco-tourism in the biodiversity hotspot of the Raja Ampat islands of eastern Indonesia. He will spend a year conducting ethnographic fieldwork into parallels and differences between exogenous and local marine conservation practices, working in collaboration with the Indonesian Academy of Sciences (LIPI) and the State University of West Papua (UNIPA), with additional support from a Fulbright-Hays fellowship. Ian has consulted for the World Bank in Southeast Asia, and in 2009 coordinated USINDO’s summer studies language program. He has a C.Phil and MA in Anthropology from UC San Diego, an MA in International Relations from Johns Hopkins University, SAIS, and a BA in Anthropology from Reed College. 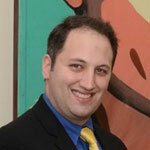 Dominic Nardi is a PhD student in the University of Michigan Political Science Department. He is interested in judicial politics in developing countries, particularly in Indonesia, the Philippines, and Myanmar. His dissertation research focuses on how non-state actors influence judicial behavior. 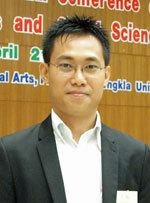 Dominic has published articles about judicial politics in Southeast Asia in both law journals and magazine editorials. In addition, he has worked as a consultant with legal organizations in Indonesia and the Philippines, including the Asia Foundation. He earned a Master’s degree in International Relations from Johns Hopkins School of Advanced International Studies and a JD from the Georgetown University Law Center. Tonny Dian Effendi is a lecturer at the Department of International Relations, Faculty of Social and Political Sciences, University of Muhammadiyah Malang, Indonesia. His expertise are Diplomacy Studies and International Relations in East Asia. Director of his department since 2011, he is also Chairman of the Indonesian Association of International Relations (2012-2013). He was a participant of the Youth Leader Forum on Pacific Forum of Centre for Strategic and International Affairs (CSIS) in 2012 and Visiting Research Fellow at The Japan Institute of International Affairs in 2009-2010. Since 2010 he has published several books including: Japan’s Public Diplomacy: Growth and Challenges (2011), The Family Business Network of China, Japan and South Korea (2012), and The Sustainability of Communism in China: A Historic-Political Sociology Approach (2013). Tonny has a Master’s degree in Political Sociology from the University of Muhammadiyah Malang and a Bachelor of Science degree in International Relations Science from the University of Jember. Hendi Yogi Prabowo is a lecturer at the Accounting Programme of the Islamic University of Indonesia. 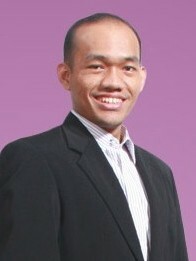 He obtained his PhD from the University of Wollongong Australia under the Australian Leadership Award scholarship, his Master of Forensic Accounting from the University of Wollongong under the Endeavour Australia – Asia Postgraduate Award scholarship, and a Bachelor of Commerce from the Islamic University of Indonesia. Hendi is now teaching at both undergraduate and postgraduate levels at the Faculty of Economics of the Islamic University of Indonesia. His expertise is in the area of forensic accounting with a sub specialization in financial criminology, focusing on human behavior aspects of fraud and fraud investigation. He is among the first Indonesians formally educated in the area of forensic accounting at both Masters and Doctorate levels and is currently the Director as well as the founder of the Centre for Forensic Accounting Studies at the Islamic University of Indonesia. Hendi has been actively writing about issues in forensic accounting in various national and international newspapers, as well as international journals. He has also been giving speeches and presentations about forensic accounting in various seminars, workshops, and trainings. 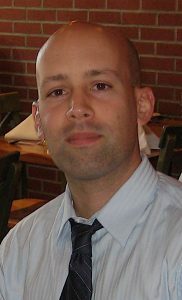 Keith Bettinger is a doctoral candidate from the Department of Geography at the University of Hawaii. He earned a Master’s degree in International Affairs from George Washington University and another in secondary education from Centenary College of Louisiana. Keith’s research focuses on the political ecology of national parks; he works to identify the social, economic, and political drivers of environmental change. He is currently a Fulbright-Hays fellow and previously was awarded a Fulbright scholarship for work on national parks in Malaysia. While currently focusing on academic research, Keith has previously contributed to Malaysiakini, the Asia Times, and the Honolulu Weekly. His dissertation project is entitled “Exploring the Political Edge: Conservation in an Era of Political Decentralization at Indonesia’s Kerinci Seblat National Park. In his free time Keith enjoys surfing, sailing, and reading.